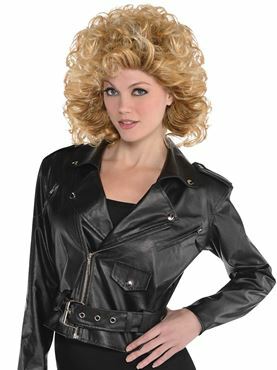 Become a Bad Sandy for your next Grease or 1950s Themed Party with our Adult Cropped Leather Jacket in Black with the Zip Up Front, Belt and Faux Pockets. Available in One Size Only to Fit UK 10-12. 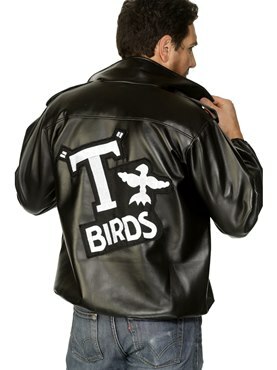 Please note that this is the Jacket only. UK 10-12 34" - 38" 26" - 30" 21"